What is the best way to store instruments? 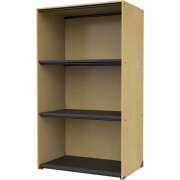 Proper musical instrument storage is crucial to keeping band instruments in top condition. Hertz Furniture offers a wide range of high-quality solutions to fit anything from flutes to guitars. 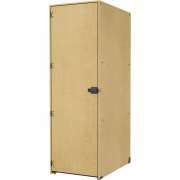 Our special storage units keep large instruments safely stored, with unlimited custom options to fit exactly what you need. Organized band room storage is crucial for a school environment. It prevents time-consuming and frustrating mix ups. 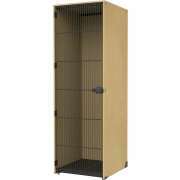 Whether you have a traveling quartet or a full orchestra, Hertz Furniture&apos;s instrument lockers will keep your instruments in top-performing condition. How can I give my students a place to store their instruments? Sheet music isn&apos;t the only thing that needs to stay organized in the music room. Students will feel more relaxed throughout the day if they are sure that their instruments are secure. 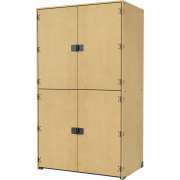 Great instrument storage provides a secure space so students don&apos;t have to carry around heavy cases all day or risk leaving expensive equipment out in the open. 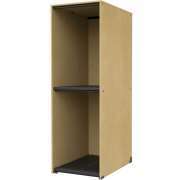 Randal Instrument Storage units are a Hertz Furniture exclusive. 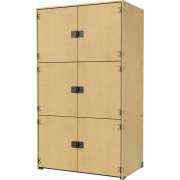 These cabinets are designed specifically for musical instruments. 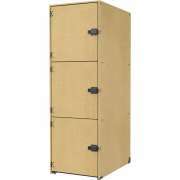 Hertz Furniture has a selection of instrument storage cabinets with a variety of configurations. Cabinets come with either solid or grille doors, both of which have their benefits. 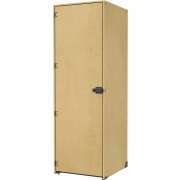 Solid doors keep oboes, saxophones or french horns safe from prying eyes and hands. Grille doors provide ventilation to the equipment and make it easy to identify cabinet contents. Students can simply peek inside the compartments and find their instruments rather than spending time searching for the right one. 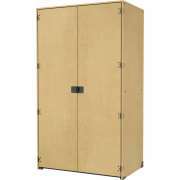 Many of Hertz Furniture&apos;s instrument storage cabinets can accommodate a combination padlock. 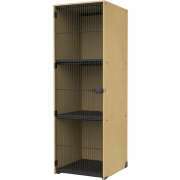 Units are also available with completely open shelving for super fast retrieval. 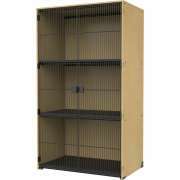 How can I fit different kinds of instruments in my cabinets? Whatever your instruments are, there is a musical instrument storage out there that can meet your needs. 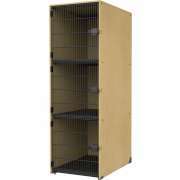 Many units feature multiple compartments of either varying or equal sizes. That way you can choose the configuration based on the instruments in your band. 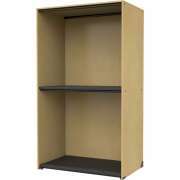 You might choose smaller compartments for instruments that are taken apart between uses such as flutes, horns and saxophones, taller skinny cabinets for violins and violas, large guitar storage units or a combination of the options. Is there a special way to store string instruments? 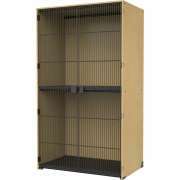 While instrument lockers can be used for individual string instruments, when you have a whole section of the orchestra that needs to be accommodated, specialized racks might be a better choice. You can choose a bass rack, cello rack or violin and viola rack which will fit these instruments perfectly. Racks provide a safe way to move multiple instruments from practice space to rehearsal room without the risk of dropping them. Do you offer furniture financing? Your student musicians practice hard, so you want to make it as easy as possible for them to start playing and enjoy the music. There are so many things to be gained from having music in the educational environment, that providing appropriate instrument storage is definitely worth the investment. If you need help budgeting for your sheet music storage or instrument lockers, contact Hertz Furniture&apos;s financing department to create a customized payment plan you can afford. Hertz Furniture is here to help you with every step of your music room design process. From instrument lockers to instrument storage and beyond, we are prepared to provide you with expert advice that is tailored to your individual needs. Whether you are looking for an individual piece or outfitting an entire band room, don&apos;t hesitate to consult the furniture experts.